Baptiste Rigaudeau joined LALIVE in 2018. He specialises in international arbitration, with a focus on commercial and investor-State disputes. He has experience working as counsel and secretary to international arbitration tribunals under ICC, HKIAC, SIAC, SCC, CIETAC, CMAP, ICSID and UNCITRAL rules, in proceedings governed by various procedural and substantive laws, both common and civil. He has experience in the energy, particularly in oil and gas, construction, banking, telecommunications, hotel and pharmaceuticals sectors. He also has experience in cross-border litigation and asset recovery matters. He is a member of the ICC’s Commission on the Belt & Road Initiative and is member of several professional associations including the Chartered Institute of Arbitrators, ICC YAF, ICDR Y&I, LCIA YIAG and the International Wine Law Association. He has spoken at conferences and has published several articles on international arbitration. Baptiste Rigaudeau trained in Paris and Madrid (2009-2010) before working as an associate to two leading international arbitrators, based in Hong Kong and in Paris (2011-2012). He then practiced international arbitration in the Paris office of Foley Hoag LLP (2014-2018). 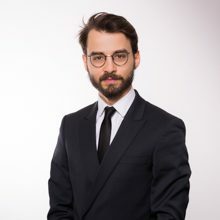 Baptiste Rigaudeau holds a Licence de droit from the University of Nantes, Masters degrees in International Economic Law from the University of Nantes and in International Arbitration and Business Law from the University of Versailles. He also holds a LLM from Cardiff University Law School.